Advancing on gains made last year, Democrats in Virginia are pushing for another big play. After last year’s success pulling in soft Republicans to help pass their agenda, Democrats are eagerly asking for more. This year they’ve announced a bold agenda to import California-style voting laws into the Commonwealth with Governor Northam confident he has all the votes he needs. California’s voting laws caused a flurry of conservative outrage after the Midterm elections last year. On election night the Republican party was down just 26 seats. But when all the absentee votes had been tallied, the GOP lost nearly every contested race in the Golden State. 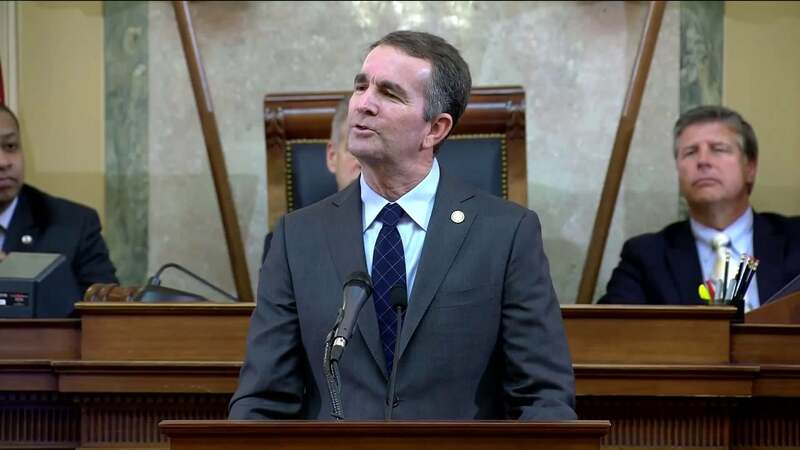 Now, Governor Ralph Northam has announced more of his agenda for 2019’s session that would bring Virginia’s voting laws to resemble those in states like Colorado and California. One of his prized proposals is a bill to end voter ID. Currently, Virginia’s voters must present valid photo identification to cast their vote. Northam attacks this requirement as a difficult barrier for voters to overcome, especially for minority voters. During the same statement, Northam also downplayed the problem of voter fraud in Virginia. “While photo ID laws are intended to reduce voter fraud, very little such voter fraud actually exists.” stated Northam, but he declined to explain why the current photo ID law did not play any role in keeping voter fraud down. In support of keeping voter ID, conservative groups have cited cases of Virginia voter fraud that have likely swung elections in recent years. Also frequently referenced is the case of a James Madison University student turning in at least 18-20 fraudulent registrations. A further investigation released just before the Midterms last year revealed an array of problems with Virginia’s elections systems. Democrats opposing Virginia’s voter ID law counter that no wide spread voter fraud has yet been discovered. However, the governor’s new range of early voting bills and the repeal of voter ID laws may soon test whether Virginia’s elections security will hold up. Current law features 20 listed excuses for voters to cast their ballot early if they can’t show up on election day. The reasons include travel, medical, and work conflicts among several others. Governor Northam’s supported bill would usher in no-excuse early voting to the Commonwealth. This measure is similar to laws already on the books in Colorado and California. Many of these proposed laws have been introduced in the past, but Northam believes the proposals could pass this year. This is likely due to a wave of seats Democrats picked up in the 2017 election. Just last year, moderate Republicans voted with Governor Northam to pass the Democrat caucus agenda. Now, Northam is hopeful that Speaker Kirk Cox or other GOP moderates like Senators Jill Vogel or Emmett Hanger will vote with him again. For more hard-hitting headlines on the 2019 session please subscribe to New Virginia Press right away. It’s no wonder, that Virginia is now referred to, as the California, of the East coast. We did just fine until the Federal Government brought all these democrap invaders in here only reason his governor Arlington, Alexandria & Fair Fax counties the -rest of us didn’t want him.. This is what you wind up with a bunch of democrap jackass’s that will take away your rights as fast as they can. How on earth do they get their ID’s to cash their checks, drive their vehicles and get insurance, apply for Social Services, buy cigarettes and alcohol, get into clubs and bars, attend R-Rated movies, if they can’t get an ID to vote? How did they get that ID if they don’t know how or where to apply? Apparently they have no problem getting an ID for any of those things, and just for your information, that is the exactly the same ID that is used to vote. NOBODY has a problem getting an ID, and it is not expensive, does not have a prohibitive cost, and everybody knows where to get one. It is much less than the cost of a mani-pedi, a weave, a tatoo, a piercing and the bling that goes with it. NOBODY has a problem getting an ID, and NOBODY is denied an ID unless they are not who they say they are. As a matter of fact, there are people who are not who they say they are that DO have ID that says they are that person. So to say that Voter ID is discriminatory, or prohibitive, is a blatant lie and an ignorant and ridiculous statement. It also emphatically implies that a certain faction of the population is extremely ignorant in the concept of how to deal with every-day life. What Voter ID DOES do, is keep people from walking into a poll multiple times and voting under several different names. It keeps people from ‘stuffing the ballot box’. So obviously, Democrats feel the need to have illegal votes in order to win elections. They know for a fact that the people who are not entitled to the ID are the majority who will vote for them, and will break the law to elect them. If they had the slightest thought that a Republican won an election due to illegal votes, they’d be out there the very next day screaming foul and demanding Voter ID. These Democrats and Liberals are ridiculous. Nothing they say about this issue makes any sense at all, and as a matter of fact, it emphasizes the fact that they most assuredly think their voter base is incompetent,ignorant, or criminal . I think thats exactly how we need to fight it .if it comes to pass we should stuff ballets use names from the family members who have died sign multiple time buds to other states and do the same thing. It’s no longer hindered so use it .. Because you know they will! Your comment was filled with indisputable truth and very eloquent. I could not have put it better and hope many people take the time to read it. You just said it perfectly!!! The DEMONCRAPS have to find a way to get votes and this is the best sure way to do it..
What i do not realize is in reality how you are no longer actually a lot more neatly-appreciated than you may be right now. You’re very intelligent. You understand therefore significantly with regards to this matter, produced me in my view imagine it from so many numerous angles. Its like women and men aren’t interested except it’s one thing to accomplish with Lady gaga! Your personal stuffs nice. All the time care for it up! WTF ? NO , do not want to be anything like commie California . This is what happens when you vote Democraps into office . They want people to be DEPENDENT on the govenment . Gun confiscation ??? Hell no . WE THE PEOPLE need to start defending ourselves & supporting the President . Well hell, let’s go all in!! Lets get rid of the drivers license and take away anything that might let someone know who we are. Cancel all need for car insurance also as it’s obvious we aren’t going to be held accountable to anyone we hit anyway. Let’s also just cancel all need for a fricking job in Virginia and give away the damn farm also. Or better yet open the prisons and let out all of the people in there as we all know the man has held them back and caused them to be in there. We don’t need IDs to sell dope on the streets anyway and won’t need it to pick up our welfare now either. Let’s get rid of the right to carry a gun so the these no id assholes can come rob us at will and never be found or tracked. This guy is a full on idiot!!!! The alleged ‘difficulty’ in obtaining a voter ID is just a steaming load of BRAVO SIERRA! Va. DMV will issue a photo non-driver ID to those who need one FREE OF CHARGE!!! There is NO plausible excuse that statist liberals like Northam can put forth for NOT having an ID!!! You want it, then move to Mexifornia dummy. Republicaan party in VA needs to get it’s shytt together. Virginia has gone down the toilet with this governor. The sorriest excuse for a governor we’ve had to date! California-style…code for “allowing Illegals to vote one or more times.” That way they can out vote all those folk not in Blue counties and turn VA in to a California-style shithole. Northam , take you liberal democratic clap trap and shove it where the son doesn’t shine. We don’t need the same crap you pulled to turn riverside county in California blue. If he like calif. laws so much we should help him .move there get him the H out of Virginia. Voter ID laws protect the integrity of elections. My mother was a legal immigrant in 1945. . My Mom did not vote until she became a very proud naturalized citizen in 1969. Mom had to register every year and because she did not drive, she would walk to register. Voter fraud is real, and the US should not relax Voter ID Laws. Voter ID Law is important to elections and E-Verify is important for employment. I fully support Voter ID Law and E-Verify. If a person can’t obtain a photo ID then they surely have no business at the voting polls! Only legal citizens have the right to vote, that’s elementary! Minority status has nothing to do with it; that’s just a poor liberal attempt to divert the weak minded to following the stupidity of a unethical agenda! Total insanity that puts a flawed ideology ahead of citizens, the Constitution and will create the same destructive policies in place that have bankrupted CA. Virginians do not support corruption, socialism or following a proven path into the abyss. “Currently, Virginia’s voters must present valid photo identification to cast their vote. Exactly WHO finds it difficult to get a state-issued photo ID??? Gee, if you’re too STUPID or LAZY to go by the DMV once every FIVE YEARS, fill out a simple application, and pick up your FREE PHOTO ID, then perhaps you should not be voting in the first place. SMH!!! Northam will go down as the person that started the destruction of this great state. Wanting anything to do with California laws will turn Virginia into a wasteland like Brown did to that state. Virginia is run by “imports” in the counties and cities that surround the swamp known as DC. The VALLEY is going to suffer because of the idiots up there. Soft Republicans like Hanger are a disgrace to all of us. How he can walk in public is beyond me. I have problems with demanding a picture driver license Voter ID and most are not mentioning an obvious reason why this is getting harder to get. They’ve been closing DMV offices. We don’t even have a DMV in our county as most business for DMV is moving on line. It’s a 40 mile drive one way to the DMV for me. My picture on my driver’s license wasn’t changed for 17 years just renewed every year. Believe me I didn’t look like my picture anymore when I finally had a new one made, I’m not sure an election official couldn’t have denied me the right to vote because wow had I changed.. I don’t have a problem with a photo i.d. just we need to make it easier for folks like those that DON’T drive like our elderly, some of the disabled and those that live in cities that don’t even own a car but take public transportation in Virginia. I’ve got 2 elderly aunts that have never driven a day in their life. Family had to take a day off work to take them to get a photo id at a DMV And it was a pain because of the distance and also getting their paperwork together. One was a widow she had to order a copy of her marriage license with her birth certificate whereas before she voted with her bills and ss card that identified her. That’s what they mean by it being a disadvantage for some folks. Does anyone remember when the local election office voter registrars issued voter id cards, with your own personal id number? They would mail them to you. I still have mine. We have an office in every county and city already. What is wrong with having THEM issuing a PHOTO voter id for people that are at a disadvantage to get to the DMV to get an id to vote ? Use that or a current driver’s license. If you already have a driver’s license that’s ok, you paid for it to drive but requiring a paid photo id to vote is like a poll tax and we did away with that to vote. I’d like to see them have a program to take it to our elderly too, say set up at assisted living centers or several places in the city or county for those that don’t drive. Sure we want to prevent voter fraud but we also don’t want to make it harder for citizens to vote. Just an idea. Got to be a solution. I’ll be finding out first hand soon. My Mom no longer drives, and her license is expiring, so she’ll be getting her ID card, mainly for voting. If I remember I’ll post back here exactly how long it takes and whether there are any difficulties beyond the normal DMV hassles we all deal with anyway. Gov. Northam if you want to govern like California, then I suggest you move there. If you get a drivers license, you have an ID. Otherwise, have people register at the Registrars office and take a picture for an ID. Make everyone get an ID and then vote or don’t vote, your choice. At least you’ll be legal to vote. No need for the registrar to duplicate services. If you don’t need a license, the DMV will provide vetted state photo ID’s with a couple quick forms. They’ll even provide it FREE OF CHARGE to low income citizens. I have worked the polls and yes, there is voter fraud, and I can tell you it was done a lot when Mr. Obama was running for President. There is nothing wrong with showing a picture ID to prove you are a legal resident. Voting is a right and should be handled accordingly. Let’s stop making a mockery of what the forefathers died trying to create – a land of the free. Mr. Northam, I suggest you step down and move out of the state or maybe even the country.